It’s been about a year since I bought a vegetable spiralizer and I can’t believe I didn’t get one sooner! I’ve never been the biggest pasta fan, so replacing noodles with zucchini has helped me enjoy a lot of dishes that I didn’t previously eat. It’s also a great way to make some of your favorite recipes low-carb friendly. 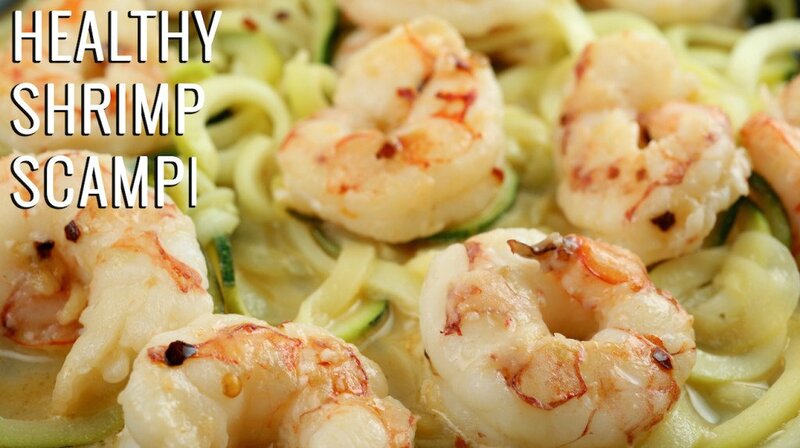 I kept it simple with this “healthy” scampi. The most important part is to start with some quality, fresh shrimp. Other than that you pretty much just need some wine, garlic, lemon juice, onion, and red pepper flakes to flavor the noodles and compliment the shrimp. *If you don’t have a spiralizer, you can make zucchini noodles with a cheese grater. Add olive oil to a large saute pan over medium-low heat. Allow olive oil to heat up for one minute. Add garlic and red pepper flakes. Cook for one minute while constantly stirring. Add shrimp. Stir occasionally while cooking them until all sides are pink (about 3-4 minutes). Season shrimp with salt and pepper. Remove shrimp from pan and set aside. Leave liquid in the pan. Turn the heat up to medium. Add white wine and lemon juice. Cook for two minutes while scraping brown bits from the pan and stirring. 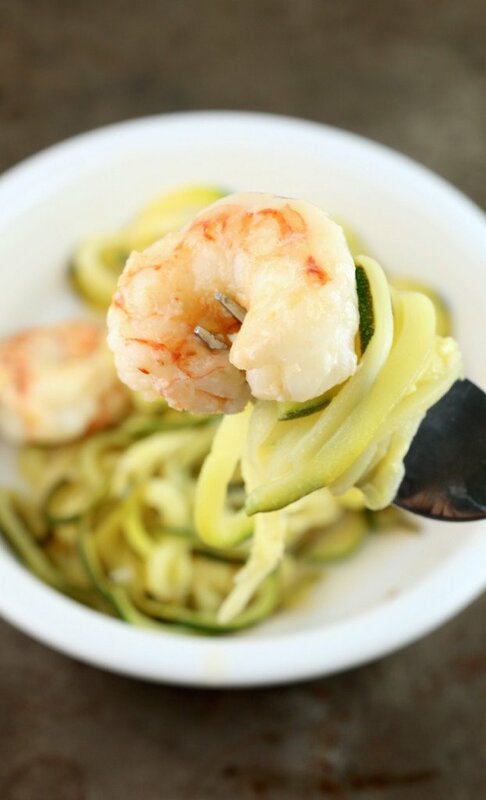 Add spiralized zucchini noodles. Return shrimp to pan. 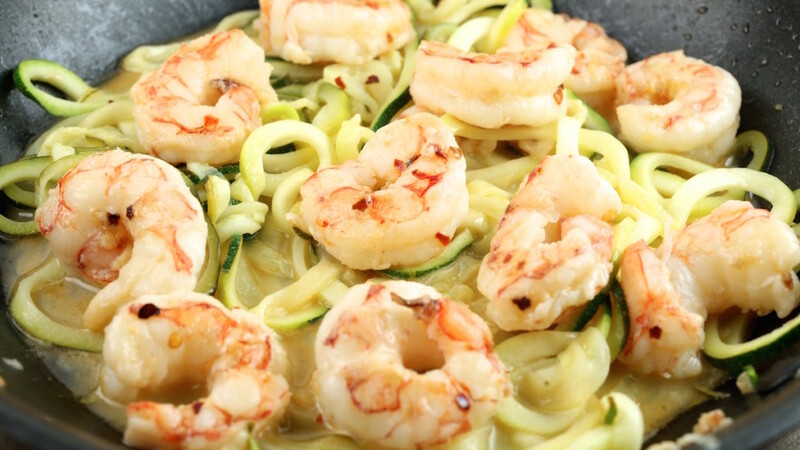 Gently toss and combine with zucchini noodles. Cook until heated through, about 2-4 minutes. Season with salt & pepper. Serve immediately. A most healthy recipe with lots of flavour, very efficient use of the spiralizer.